I starred agoda-com/Kakao at GitHub. At Agoda, we have more than 1000 automated tests to ensure our application's quality and give our best experience to the user. All of them are written with Espresso from Google. Even though Espresso is working really well with our test, the code readability is quite low. Let's look at some of the examples of how we write the test. This is an example just to check the visibility and you can see that it's not looking that good. As Agoda developers, we want to improve not just our codebase quality, but also our implementation of tests as well. This is why we are introducing Kakao. The library that will make you enjoy writing automated tests like you are drinking a hot chocolate. Screen can represent the whole user interface or a portion of UI. If you are using Page Object pattern you can put the interactions of Kakao inside the Page Objects. You can combine different matchers to retrieve your view. Every adapter contains different Items, Kakao provides an easy way to define the different items of your adapter with KAdapterItem and KRecyclerItem. If your adapter contains multiple Items but your interactions in your tests only work with one is not required to create all of them. If you have custom Views in your tests and you want to create your own KView, we have KBaseView. Just extend this class and implement as much additional Action/Assertion interfaces as you want. You also need to override constructors that you need. Default artifact starting from 2.0.0 includes AndroidX libraries to build upon. If you're still using old support libraries, please use 2.0.0-support artifact. We will move to AndroidX dependencies in the major release as soon as Google will publish stable release. Kakao is an open source project, and depends on its users to improve it. We are more than happy to find you interested in taking the project forward. 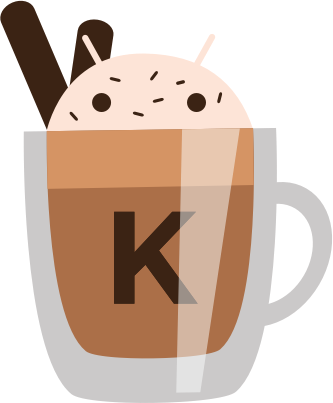 Kakao is open source and available under the Apache License, Version 2.0.